The 28th annual Magnolia Ball is on May 11th at the Millennium Center, in Winston-Salem, NC. Be prepared for a beautiful evening of fine dining, lively bidding with our silent auction and an exciting live auction full of incredible destinations! Tickets are available here. If your wanderlust can’t be sated, we have just the opportunity for you through our “Buy it Now” travel opportunities. This year we have partnered with Winspire, an organization who provides highly sought after, hard to find, unique experiences for use in charity auctions or fundraisers. Proceeds from these trips will benefit the Magnolia Ball! Call Jenny Scholl at Piedmont Opera for more information at 336.725.7101 to purchase an experience. Multiple experiences can be purchased, if you are interested in traveling with friends! Take part in a Wrigley Field tradition that goes back to the first Opening Day in 1914 by watching baseball from a nearby rooftop. Kick back and enjoy the game with fantastic ballpark food and ice cold beverages! Don’t pass up your opportunity to experience a Chicago Cubs game from one of the official rooftop partners across the street from Wrigley Field! One of the most unique, fun and entertaining tickets in all of sports. A must do for any baseball fan! Just pick the game and everything else will be arranged! Your rooftop admission provides your seats, beverages (beer, wines and soft drinks) and entrees, side dishes, and desserts with a large and varied menu of iconic Chicago fare -all-inclusive! Enjoy a 3-night stay including daily breakfast for 2 in a standard Fairmont room at this 4-star hotel.On cue with the first signs of spring, the Fairmont Chicago, Millennium Park is blooming from a multi-million dollar refresh. 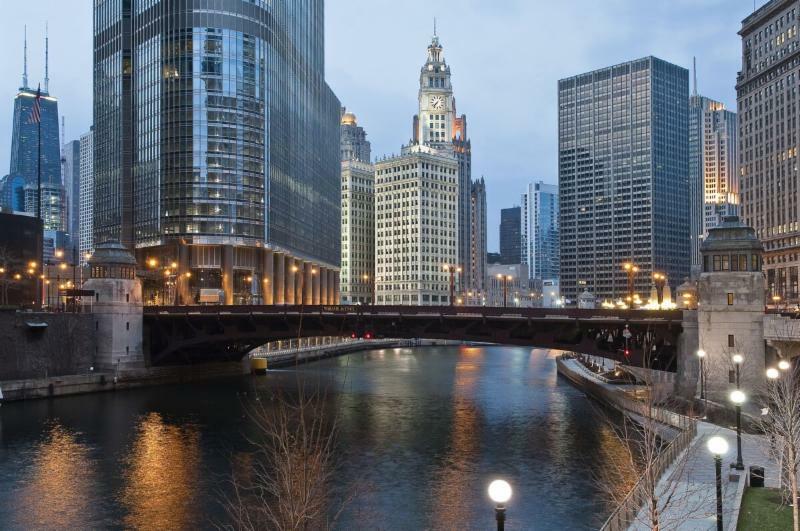 Anchored by 400+ acres of protected park space in the heart of downtown Chicago, the hotel enjoys pristine views of Lake Michigan, Millennium and Grant Parks and the famous Chicago Skyline. This package includes round-trip coach class service for two from any major metropolitan airport in the 48 contiguous United States to Chicago, IL,subject to availability. Airfare must be booked within one year from the date of purchase.Airfare taxes and a $25 per person processing fee are the responsibility of the purchaser. Blackout dates:Thanksgiving, Christmas, and New Year’s weeks. Business and First Class upgrades are available at the time of booking for an additional fee. Use of frequent flyer miles for upgrades is dependent on specific ticket restrictions as determined by the airline’s frequent flyer program. Winspire provides a team of seasoned travel professionals who will help you redeem your experience. All travel related details and reservations are handled for every part of your Winspire experience. Operating as a full-service travel agency, Winspire can assist with extra hotel nights, airfare upgrades, and additional guests. This service also provides you with an established network of onsite contacts who can help you book additional experiences, activities and tours. ADDITIONAL INFORMATION: Must be booked a minimum of 60 days in advance. Reservations are subject to availability. Certificates cannot be replaced if lost, stolen or destroyed. All purchases are non-refundable. Packages cannot be resold.